Born in 1936 in nearby Greenville, Mississippi, famed visionary and puppeteer Jim Henson grew up and played among the swamplands of Leland which has now proclaimed itself the birthplace of his most famous creation with a permanent exhibit devoted to the man and the frog. Installed across two rooms in the Leland Chamber of Commerce, the small museum holds puppets and memorabilia that honor Jim Henson’s creation of Kermit the Frog. As the story goes, Henson spent his childhood playing among the local flora and fauna (which included frogs) of Leland and eventually made acquaintances with his boyhood friend Kermit Scott, who it is said the character of Kermit the Frog is based on. When the city of Leland established their small Muppet tribute they were actually given three original Muppet figures (Dr. Teeth, The Swedish Chef, and Chester the Rat) to display in addition to tomes full of Muppet facts and a collection of merchandise, dolls, and memorabilia. Unfortunately the trio of puppets originally housed in the museum had to be returned to the Jim Henson Company, but an original Kermit the Frog puppet was later donated to the exhibit by Henson’s wife Jane. The proud birthplace is still open for visitors to come and explore the roots of the amphibian showman and the city even features a permanent plaque marking Kermit’s creation. Guests to the exhibit can even cuddle up to a giant stuffed Kermit for photos and a little imagineering of their own. 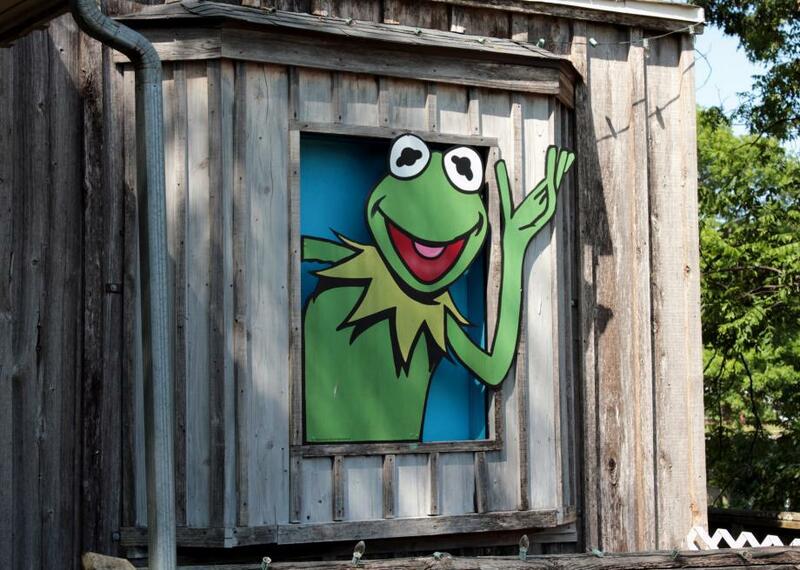 For more on Kermit’s birthplace, visit Atlas Obscura!